Adolescence is a critical period in brain development. While the brain normally reaches its full size around 10 years old, the brain is still developing until approximately ages 24 or 25. 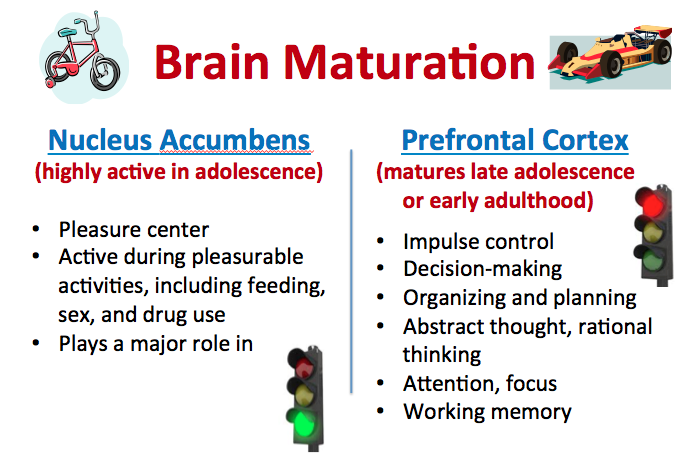 During adolescence, a significant amount of brain development is happening, especially in the parts of the brain needed for complex tasks, organization, planning, and judgment. Adolescence is an important “window” of opportunity and sensitivity for the brain, with rapid brain connectivity occurring. 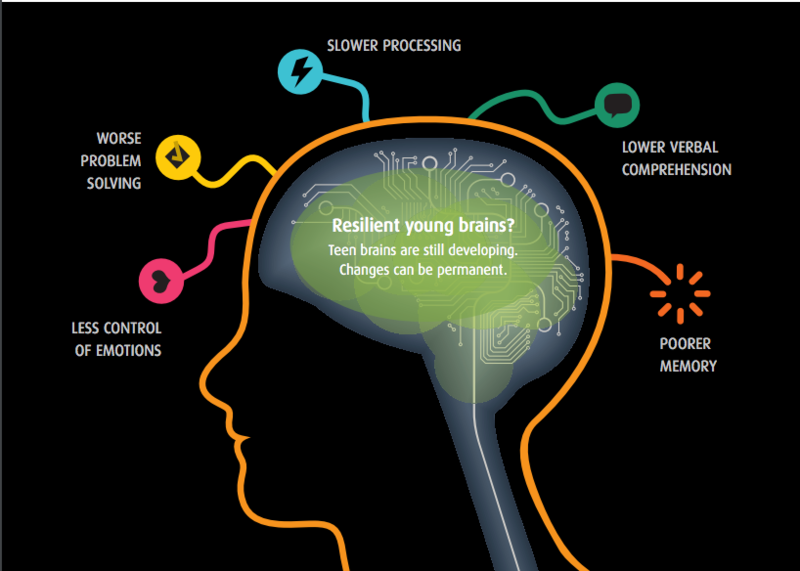 How the brain is used during adolescence, and what it is exposed to, will have life-long effects. Due to the stage of brain development in adolescence, teens are more susceptible to the addictive effects of substance use. How Does Marijuana Impact The Teen Brain? The brain’s prefrontal cortex, which is responsible for important functions such as impulse control, attention, focusing, organization and personality, is the last area of the brain to fully develop. 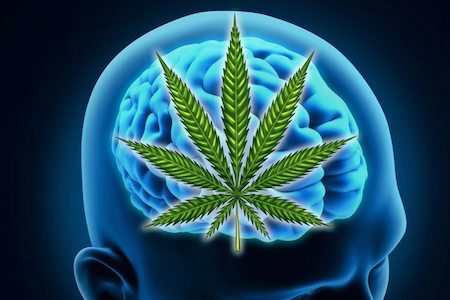 Marijuana inhibits those functions, resulting in higher consequences within brains that aren’t fully developed, along with the possibility of permanent damage (abnormal changes ) in the brain of frequent marijuana users. Marijuana activates the brain’s endocannabinoid system, which causes the pleasurable feelings or “high” and stimulates the release of dopamine in the brain’s reward centers, reinforcing the behavior. Marijuana use also causes negative effects on your brain and body — changes in perceptions and mood, lack of coordination, difficulty with thinking and problem solving, and disrupted learning and memory. Several studies have linked marijuana use to increased risk for psychiatric disorders, including psychosis (schizophrenia), depression, anxiety, and substance use disorders, but whether and to what extent it actually causes these conditions is not always easy to determine. The amount of drug used, the age at first use, and genetic vulnerability have all been shown to influence the relationship between marijuana use and mental health problems. The strongest evidence to date concerns links between marijuana use and substance use disorders and between marijuana use and psychiatric disorders in those with a preexisting genetic or other vulnerability.